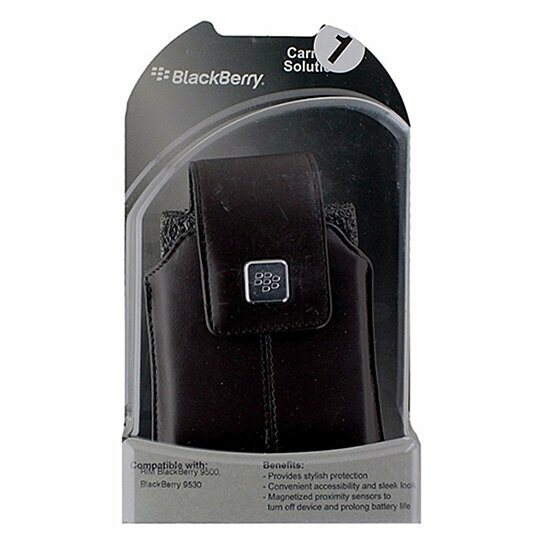 BlackBerry products, Leather Pouch Case with Belt Clip for BlackBerry Storm 9500 and 9530. Dark Brown leather finish. Metal BlackBerry Logo. Rotating Belt Clip. Magnetic Closure.